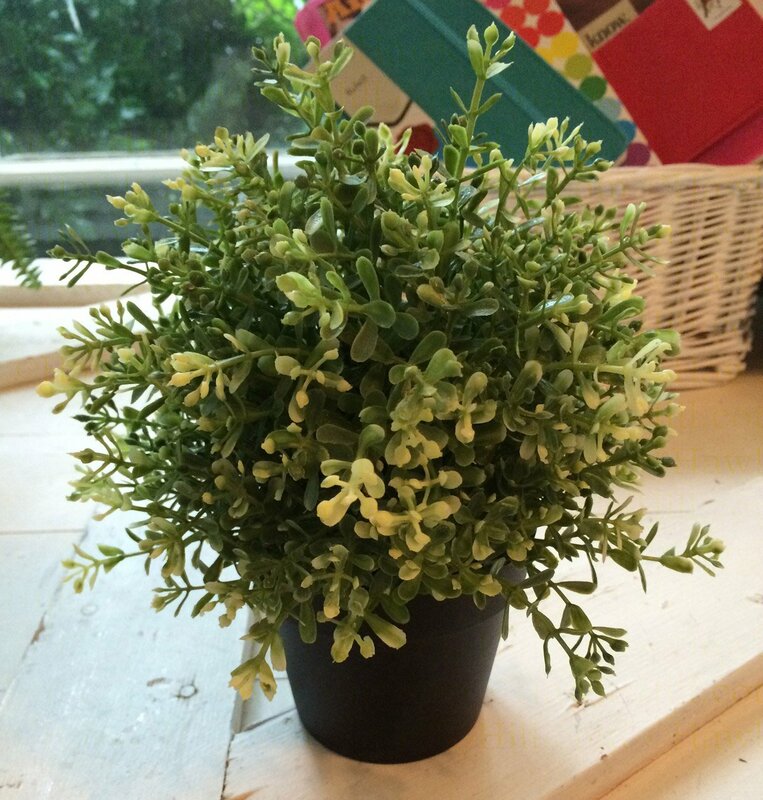 I love Ikea’s small, $3.99 potted plants for shelf fillers. 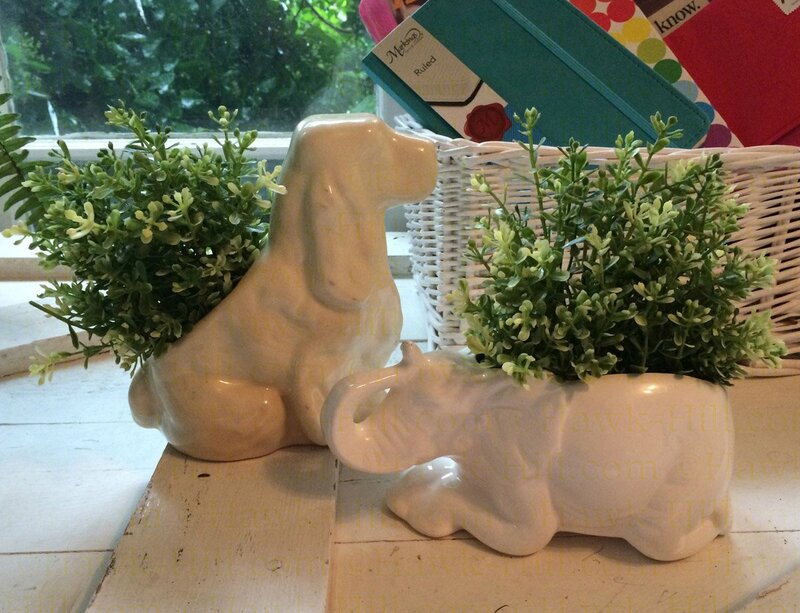 Most of the time, the standard 4″ pot size is perfect for dropping into small pots or the trophy cups dotting my shelves, but as my collection of white-ware planters has grown, I’ve found situations where I needed a smaller plant or a less vertical plant to look just right. 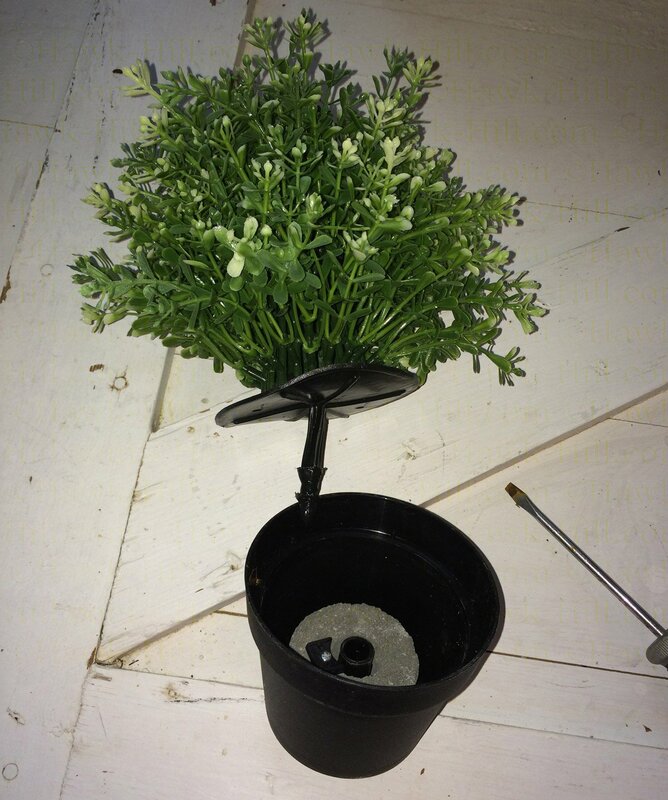 So here’s a quick, easy tutorial on deconstructing an Ikea Fejka to use the plant in a wider range of vessels. 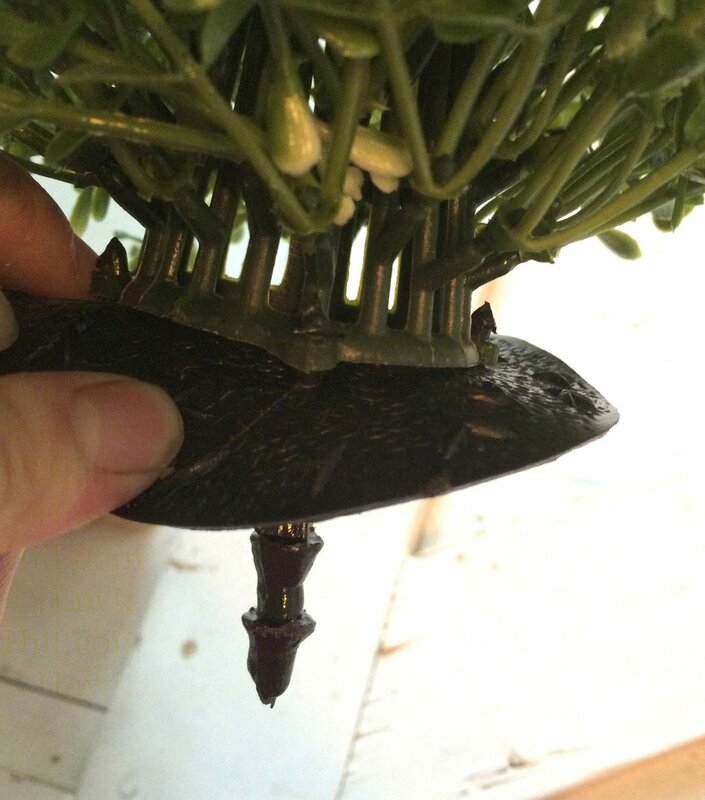 First, insert a flat head screwdriver into the gap between the faux “soil” and the pot. 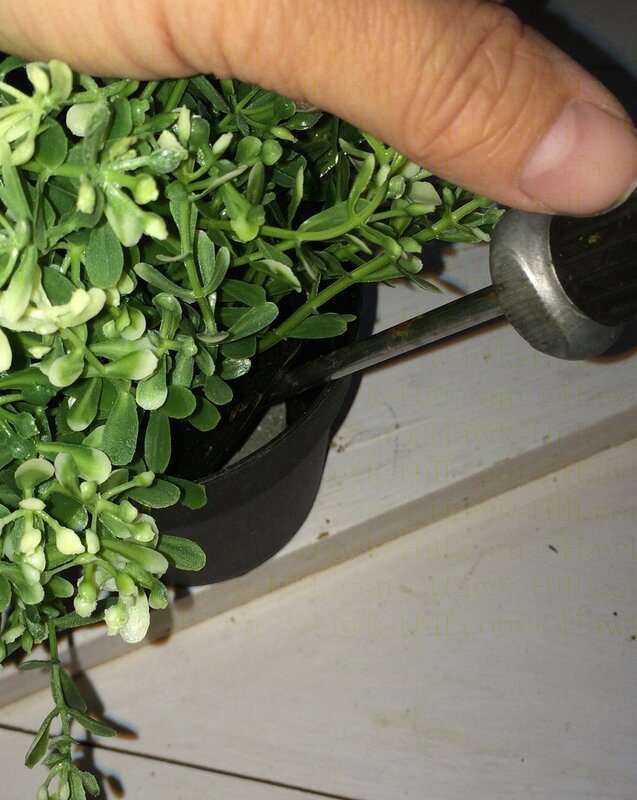 Use leverage to pop the soil and plant off the connectors holding it in the pot. 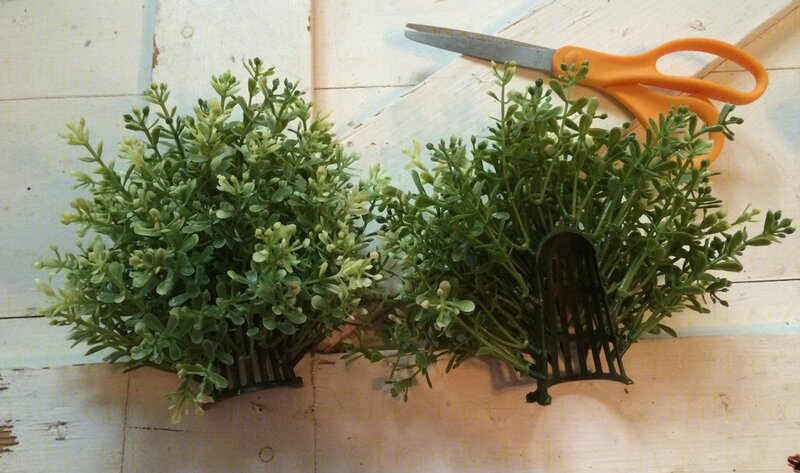 The “soil” and plant will come out in once piece, pull the “soil” from the plant firmly to separate. 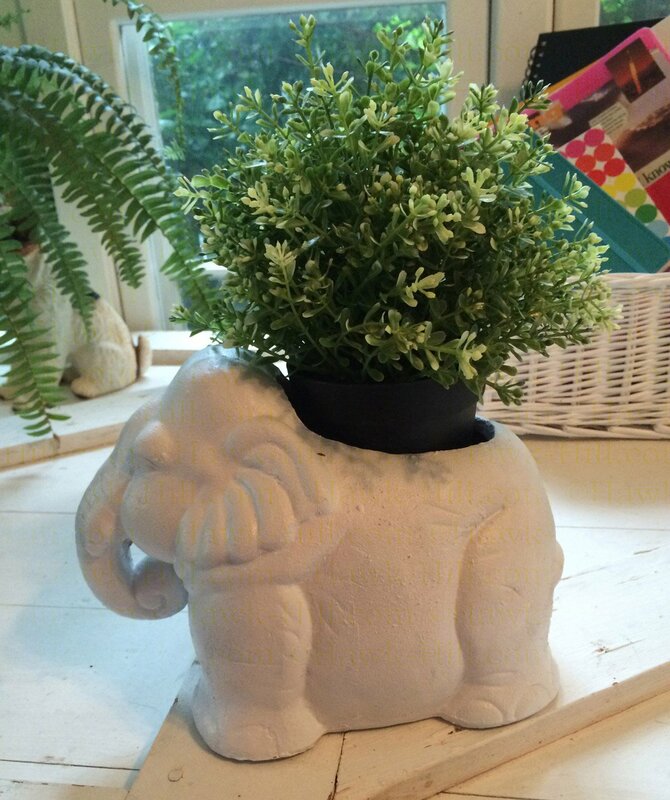 If you need a squatty plant, you can stop here! 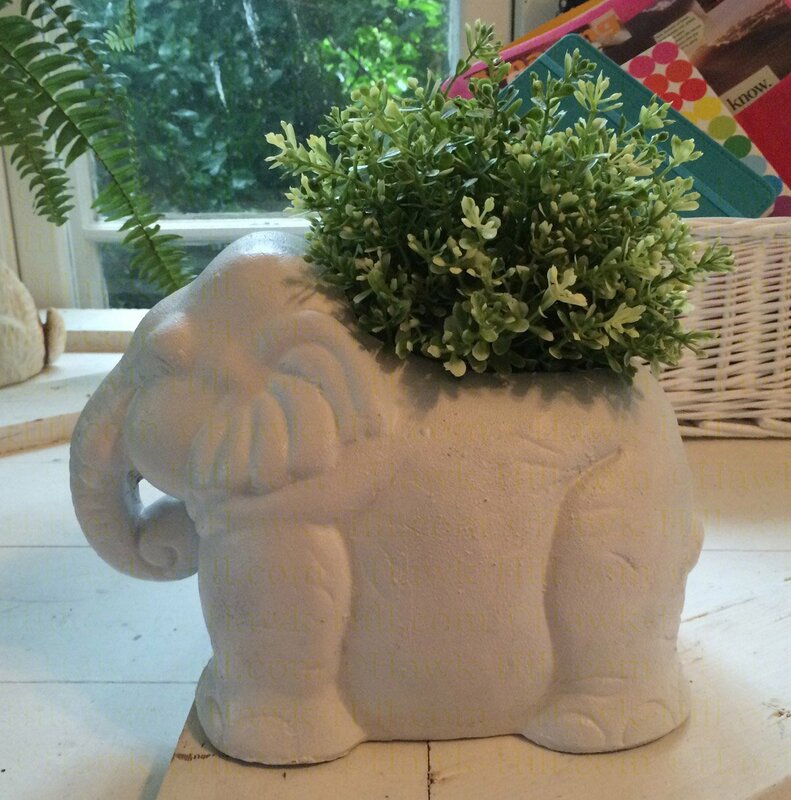 One Fejka was perfect for my shallow and wide elephant planter, once the pot was removed from the plant. 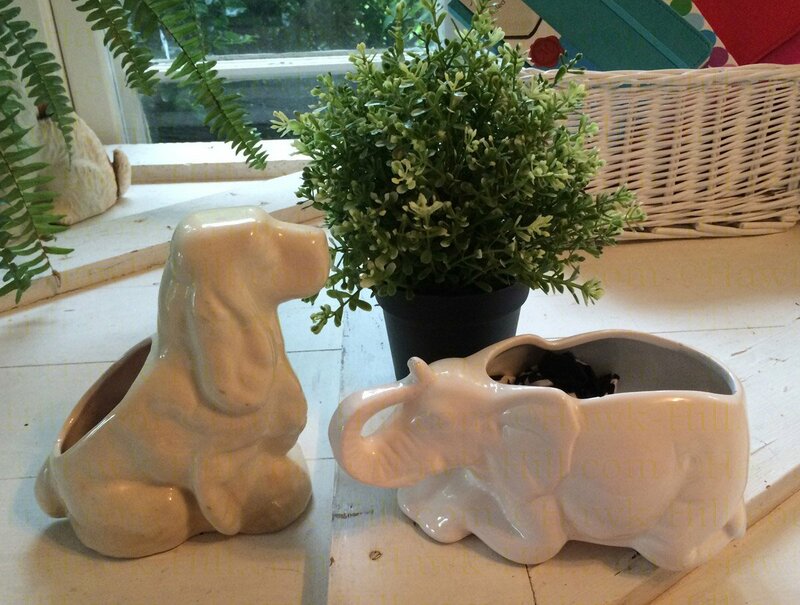 These small spaniel and elephant planters require a smaller plant. 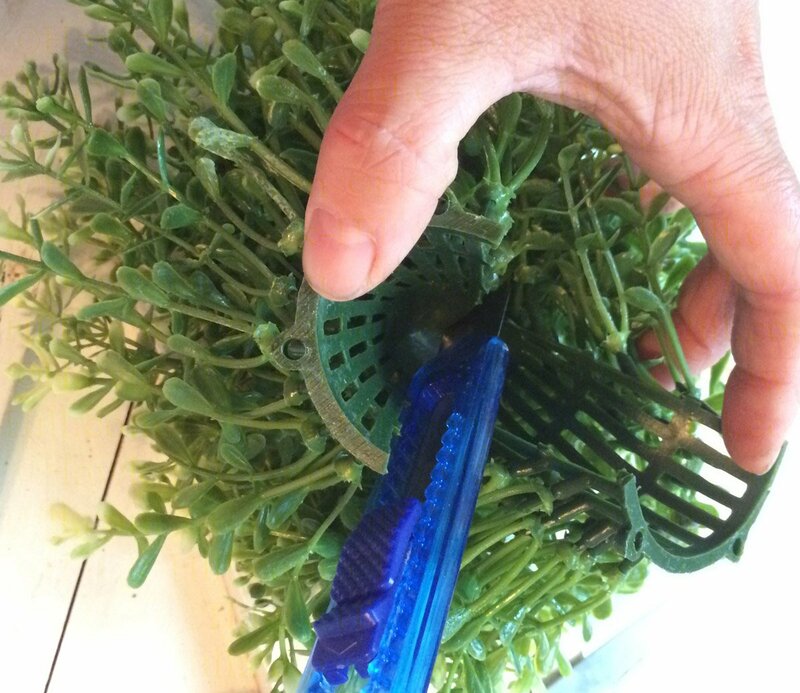 First, grab scissors and a sharp knife and turn the plant (post separation via instructions above) upside down. 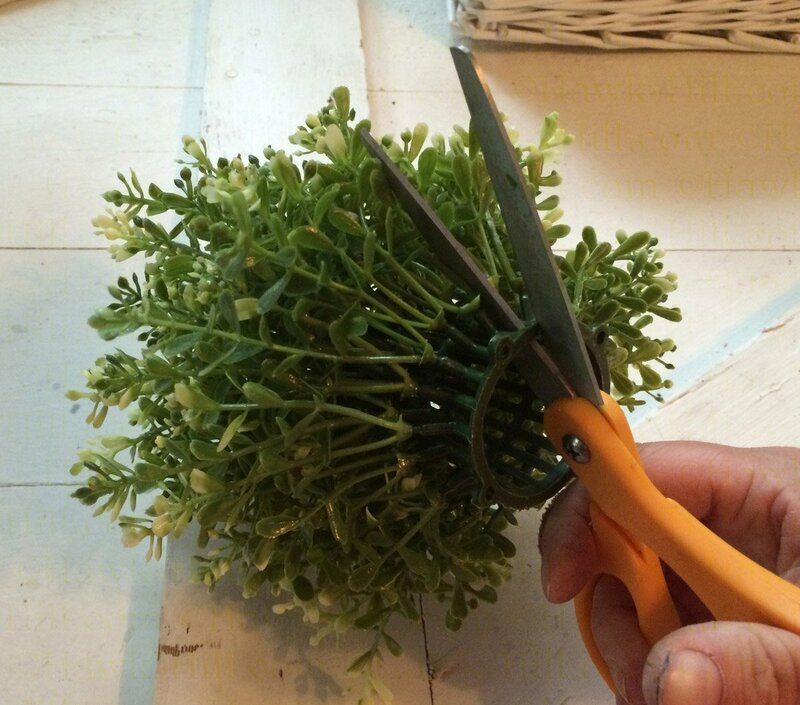 The center will be conical and easy to cut with sharp scissors. 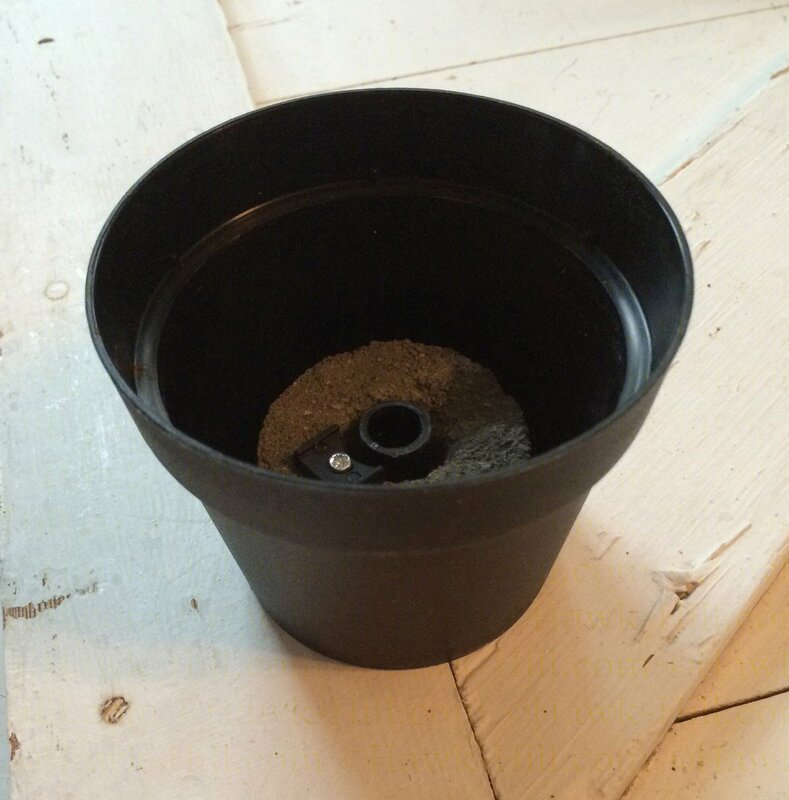 Carefully cut up the cone on one side, and make a second cut directly opposite. At the top/center, it became easier to work with a sharp box knife. Separate the two sides. 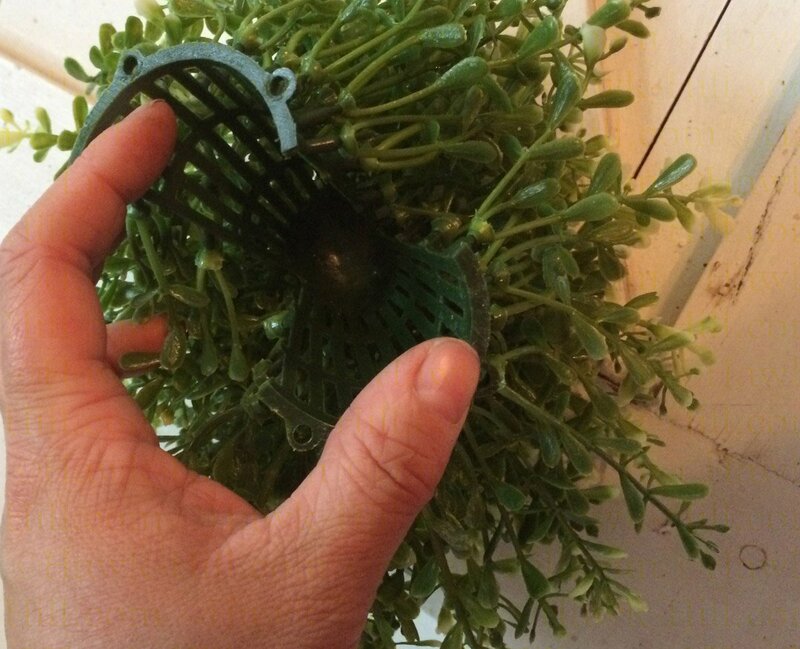 Your plant will now be in two pieces. 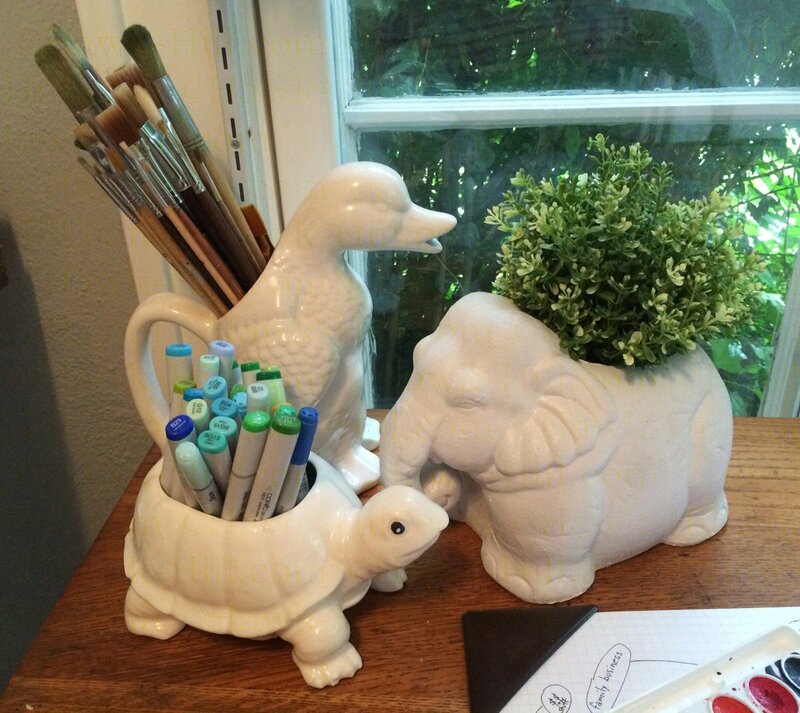 Rolling the pieces slightly to maintain a dimensional look, insert into your smaller container and arrange. 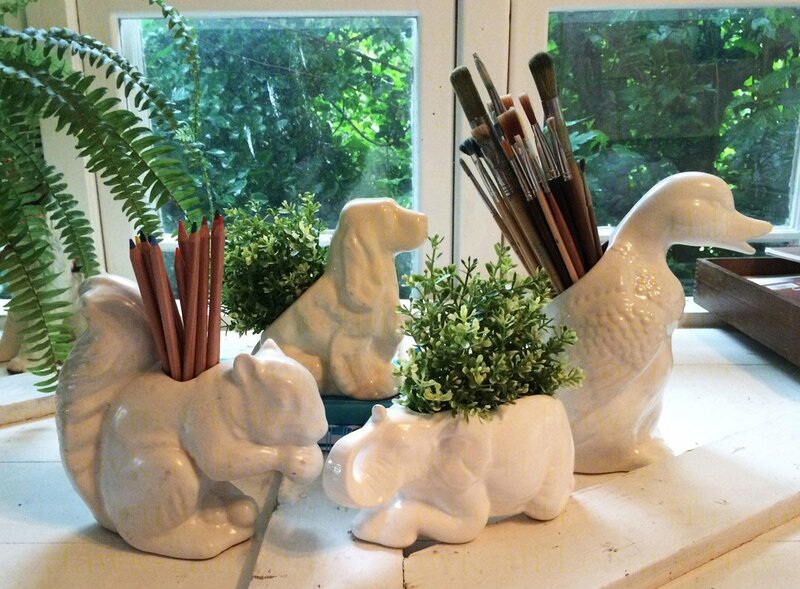 My white-ware planter collection is mostly for displaying art supplies, however for the oddly shaped planter or for moments when my planter collection grows faster than my art supply collection, ikea’s Fejka is a stylish, inexpensive filler.